Bankruptcy Myths Debunked by Groce & DeArmon, P.C. Considering filing for bankruptcy can be terrifying. There are many horror stories of dealing with the hassles and headaches that come with filing for bankruptcy. Luckily, there are many bankruptcy law firms, like Groce & DeArmon, that have the experience and knowledge necessary to make filing for bankruptcy as efficient as possible. Even with an experienced bankruptcy law firm on your side, the thought of bankruptcy can be nerve wracking. The Groce & DeArmon, P.C. 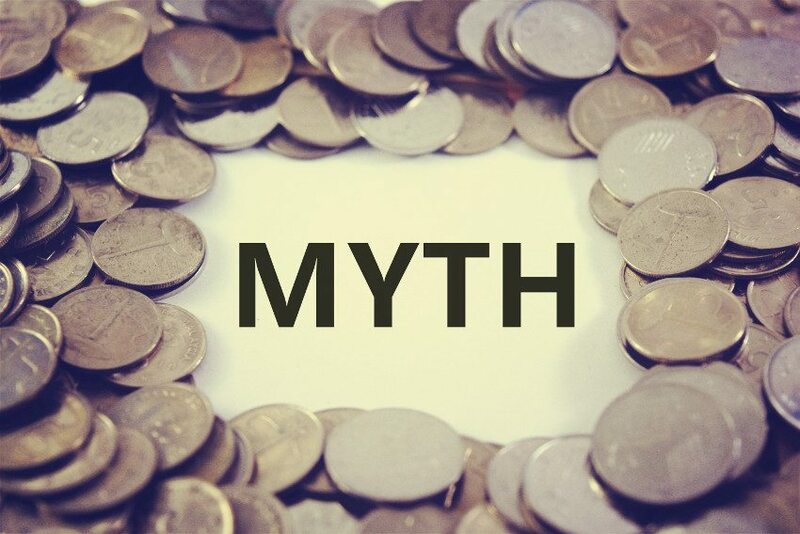 team is here to debunk some of the most common bankruptcy myths and reassure you that bankruptcy isn’t a problem, but a step on the way to reorganizing your financial situation. While bankruptcy can be caused by financial irresponsibility, it is more often the result of unfortunate life circumstances. Losing a job, extensive medical bills, or going through a divorce are often the most common causes of the need to file bankruptcy. Sometimes, bad circumstances fall on even the most financially responsible people and leave them scrambling to handle the overwhelming debt. While bankruptcy can seem like a financial clean slate, there are several types of debts that are not erased by bankruptcy. Alimony and child support, student loans, and certain tax debts are not erased by filing for bankruptcy. While filing for bankruptcy does affect your credit, it is by no means a death sentence for your credit score. In fact, your credit often fares better after going through the bankruptcy process than it would have if you would have continued to struggle through paying your debts without bankruptcy. This myth is often the biggest that people focus on when deciding whether or not to file for bankruptcy. However, many bankruptcy cases are due to overwhelming medical bills from a serious illness. Bankruptcy isn’t admitting defeat; it is a tool that helps you get your financial situation back in order and gain control over your debt. There is no shame in taking the steps to get your finances back on track. Bankruptcy Lawyers at Groce & DeArmon, P.C. If you are considering filing for bankruptcy, the law firm of Groce & DeArmon, P.C. can help. Our law firm has years of experience in handling both Chapter 7 bankruptcy and Chapter 13 bankruptcy. Our Groce & DeArmon, P.C. bankruptcy team will work with you through every step of the bankruptcy process to ensure that everything goes as smoothly and efficiently as possible. For more information on our law firm or the services we offer, check out the Groce & DeArmon, P.C. website today or contact our office to schedule your free consultation. We can help get your financial situation back on track.